This will be an incredibly informative event for those at risk, carers, people living with dementia and professionals alike. 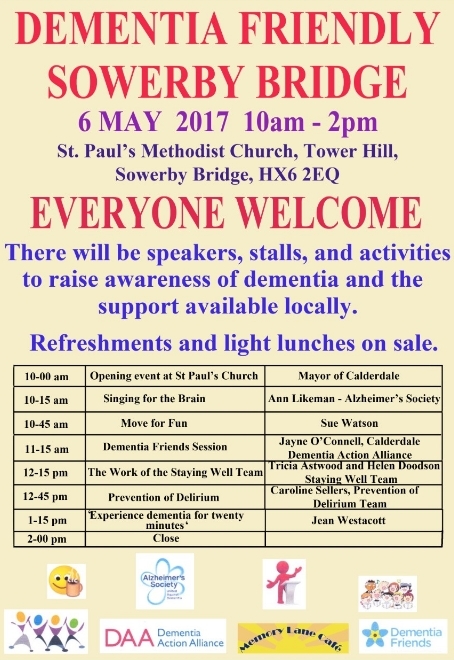 It is being facilitated jointly between the Memory Lane Café which meets in Sowerby Bridge and the Alzheimer’s Society. This entry was posted in Care and Carers, Health & Wellbeing, Local News on April 20, 2017 by calderdaleforum50plus.